Upon completing her fellowship in Rheumatology and Immunology in 1987, Dr. Fritz began practicing medicine as a solo physician. She currently sees private patients at her office next to Bethesda North Hospital in Montgomery, Ohio. Other physicians often request consultations with Dr. Fritz about their hospitalized patients; therefore, a portion of Dr. Fritz’s practice is spent visiting with and comprehensively evaluating patients who have been admitted to Bethesda North or other Cincinnati hospitals. 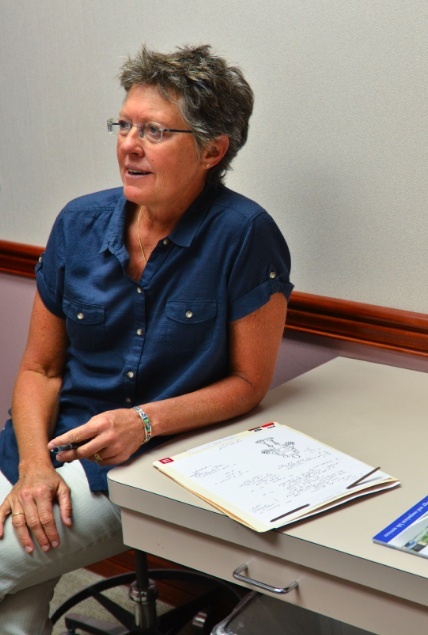 Since 1987, Dr. Fritz has also held the position of Associate Professor at the University of Cincinnati’s Arthritis Clinic where she helps train medical students, interns, residents and fellows in Rheumatology and Immunology. We don’t hear enough about the art of medicine these days—too often it’s overshadowed by technology, business, and politics—but patients still recognize it when they experience it. Dr. Fritz believes the art of practicing medicine transcends science. It occurs when physicians recognize the integration of the physical, the spiritual, and the social that compose their patients’ lives and then, through the filter of experience, translate the available science so that patients and their families are empowered to take responsibility for their own medical decisions. Attention to patient individuality is key—individuality discovered by physicians who ask insightful questions and who then listen as patients tell their unique stories. Learn more about Dr. Fritz, about her practice, and about the wonderful staff who support Dr. Fritz as she cares for her patients.